As I wake (a little late!) to the sun glowing through the walls of my tent, I climb out of my sleeping bag and have a simple breakfast by the side of the river – even more majestic in the dawn sunlight. 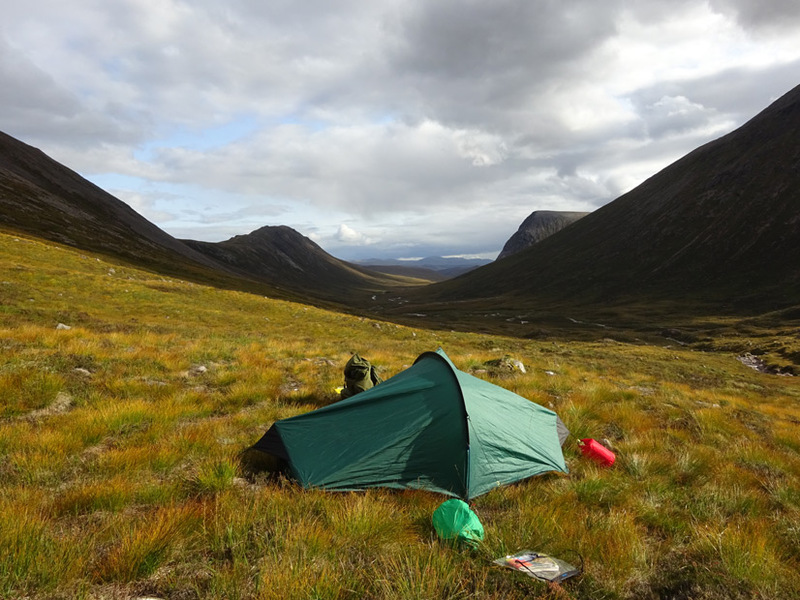 This entry was posted in The Woodlore Team and tagged Cairngorms, Callum Hilder, Highlands, Mountain Leader Award, Ptarmigan, scotland, solo camping, woodlore team on October 2, 2018 by Woodlore Team.